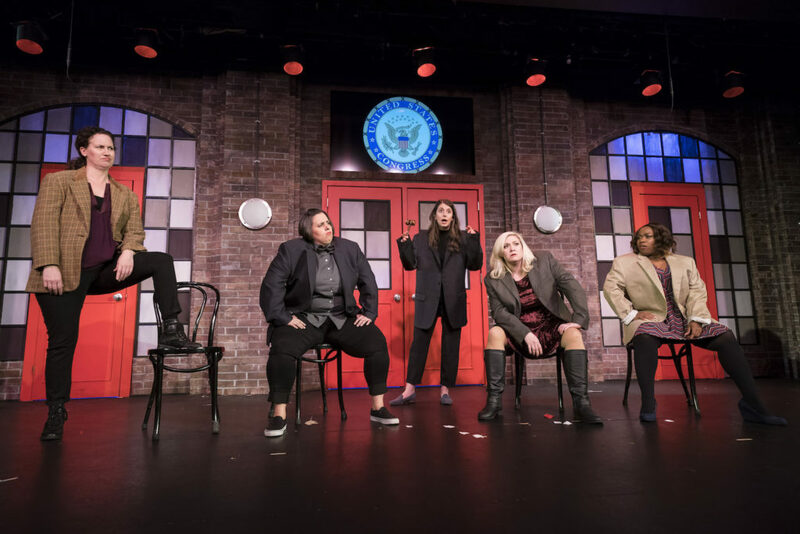 Second City’s She The People kicks off with a quote that sets the tone for the entirety of the show — a show that has perfected the balance of tackling heavy feminist topics while blending them with light-hearted jokes that get the attention of everyone in the audience. She The People also manages to pepper in politics without coming across as directly disrespectful, which is an art form in the world of comedy. Even the playlist that blasts through the speakers during intermission is stacked with independent female fight songs to remind that audience of what they’re here to watch: empowering entertainment at its finest. One of the most memorable skits involves the re-enactment of anti-feminine commercials. These women nail the entire performance, expertly capturing how it feels to be sitting on the couch on a Sunday afternoon watching a woman frolic through the rainforest with freshly shaved legs. Unrealistic and unnatural, to say the least. The all-female ensemble takes to the stage to tackle one of the most relevant ideals that consumes society today: the public’s knowledge and engrossing fascination with pop culture. After dragging an audience member from the crowd, questions are hammered out that cover prominent news topics. Once the point is clear that no one actually knows what is occurring in the world today, a final request is made: Name Kim Kardashian’s sisters. Without hesitation, the audience member screams out “Khloe!” proving that our society knows more about the Kardashians than it does ISIS. Following the show, I sit down for a cocktail with stars Carisa Barreca and Alex Bellisle at the Second City bar, 1959. Once the excitement dies down, we settle in to our conversation, one where the gossip is endless and the rosé is too. Both Alex and Carisa have this incredible ability to bring a stranger such as myself into their world and release any sort of filter. she related to the most, making every scene genuine and real. The all-female ensemble (and all-female writers’ room) expertly captures how it feels to be a woman in this day and age, and approaches every topic dealing with the distorted female image unfiltered. “What’s the best piece of advice you’ve ever received?” I ask. 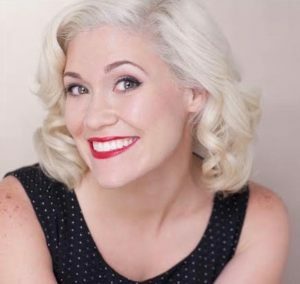 She The People holds back on scoring easy laughs from poking fun at guys and dating, and instead aims for feminist movements and situational humor. 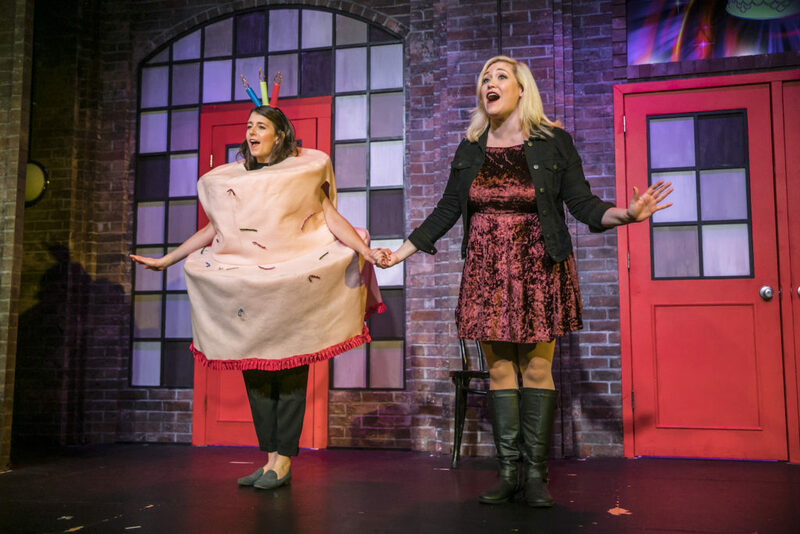 Watch these women patronize the patriarchy every Thursday-Sunday at Second City’s UP Comedy Club through May 27. 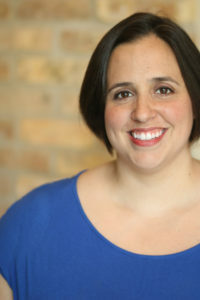 Visit SecondCity.com for ticket information.